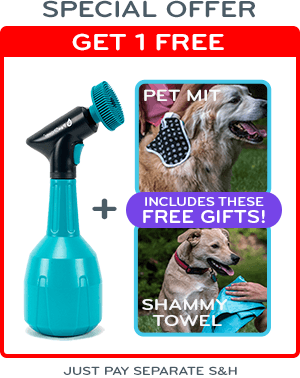 Keep Your Puppy Perfectly Clean with Paw Shower! 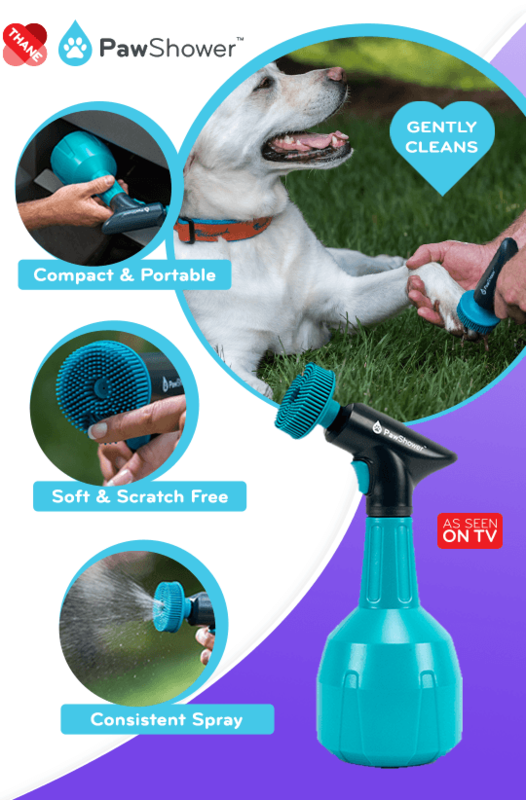 Paw Shower’s uniquely-better operated paw cleaner features a nozzle that enables two spray settings while the motor provides continuous and consistent spray pressure. 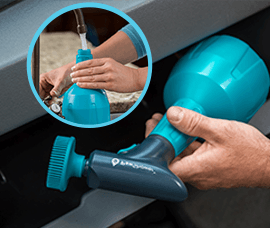 Adjust the spray for a gentle wash or a burst to dislodge stubborn mud and debris. 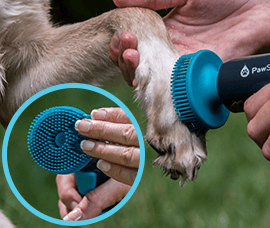 The soft silicon bristles on the head allows for spraying and scrubbing in one motion and goes down deep to gently cleanse your pet’s paws, nails and tender pads. The brush is hygienic, has a natural elasticity, and does not wear, tear or absorb smells! 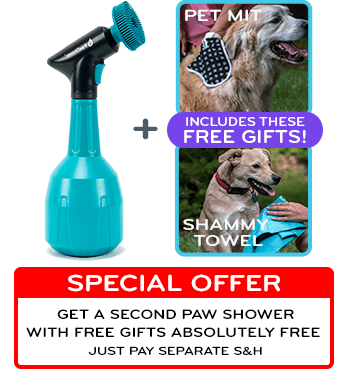 No matter where you and your pet go, the Paw Shower can be there for the messy moments. 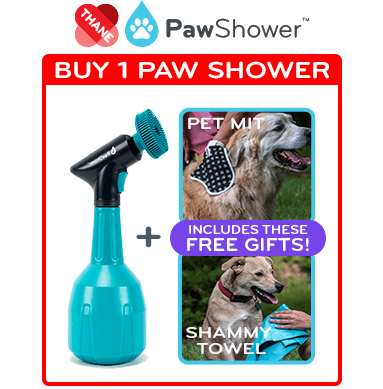 Paw Shower is battery operated, lightweight, and can be filled with up to 1L of water. Take it on the road or leave it out by your door to make sure that your car, house and pet stay perfectly clean! No More Destroyed Floors, Clothes, or Furniture! 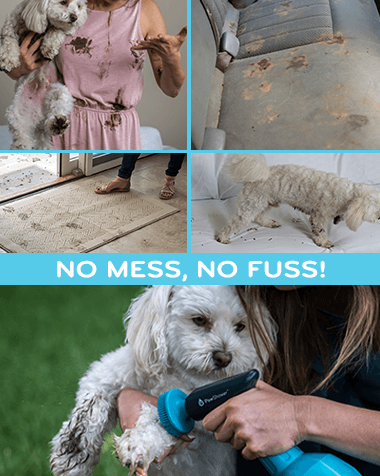 Your Doggy's Paws Have Never Been Cleaner!